Imagine yourself at the World Tree, Yggdrasil. You sit on one of its gigantic roots. Urd's Well is in sight and maybe you can see the Norns, the weavers of fate. The colours of a Rainbow touch the Well's shore. Your eyes follow the colours of the Bifrost Bridge high into the sky. Twelve specks of white light appear. Do you see the Aesir? 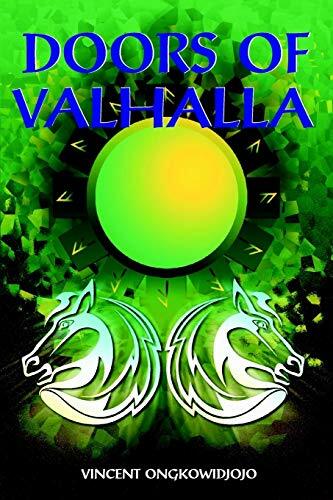 Doors of Valhalla presents an exegesis of Voluspa, Havamal, and Lokasenna. The Voluspa poem is looked at from a contemporary esoteric perspective but particularly discusses the evolution of consciousness. Havamal is interpreted from a cultic perspective. The Gunnlod story and its initiatory implications, such as soul contact, are especially treated. Lokasenna outlines the Norse gods and goddesses as archetypes. The theoretical content is intertwined with practical hints. Chapter 2 features an exercise to contact a water spirit for Spá divination. Chapter 5 develops the creation of magical thought-forms. Chapter 6 describes a genuine Seidr trance technique. Chapter 7 includes hints on ceremonial magic. Last but not least, chapter 11 details how to work with god archetypes.